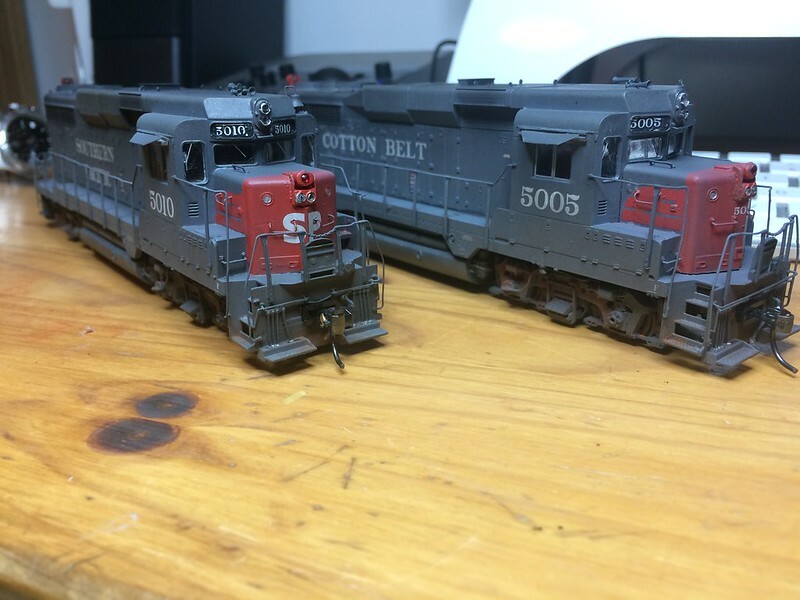 Summer last year I was given a task by a friend, to paint and detail two GP30's he had, into Southern Pacific / Cotton Belt units. He would pay for his share of details and parts, and in return for the work I was to keep one of them. 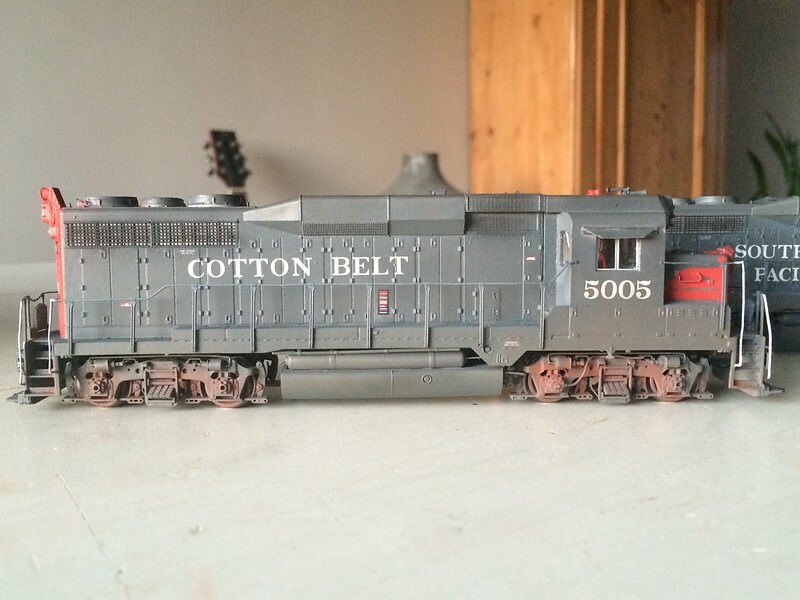 I didn't think too long and so it was that I went home with two Lifelike Proto 2000 GP3's, one KCS and the other B&O. 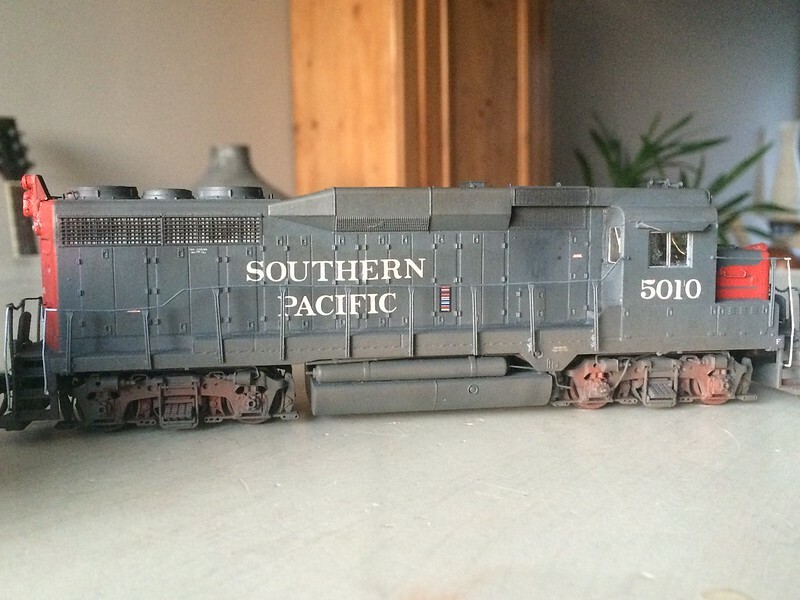 The first job was to strip all the paint of both units, then add details as appropriate for SP/SSW GP30's. 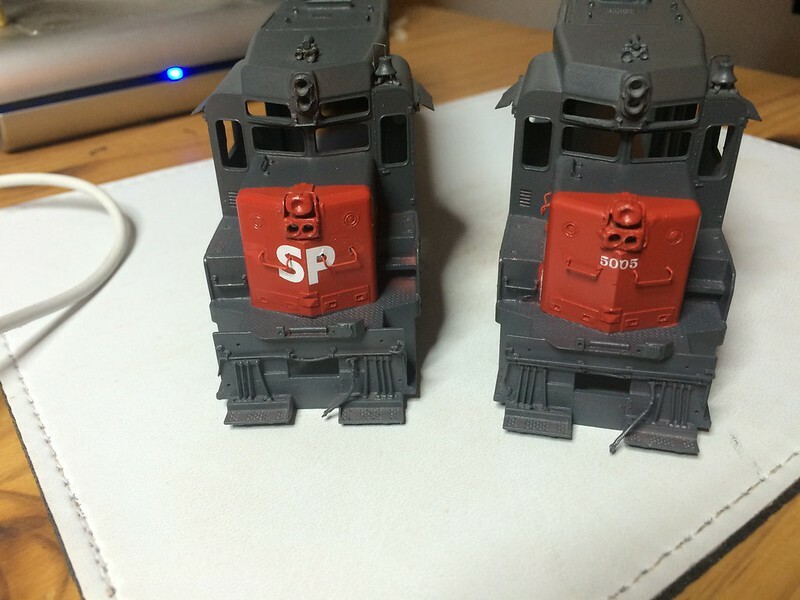 A couple of months later, I was ready to paint, and so the SP grey was applied after the Scarlet red was painted on front and rear and masked off. 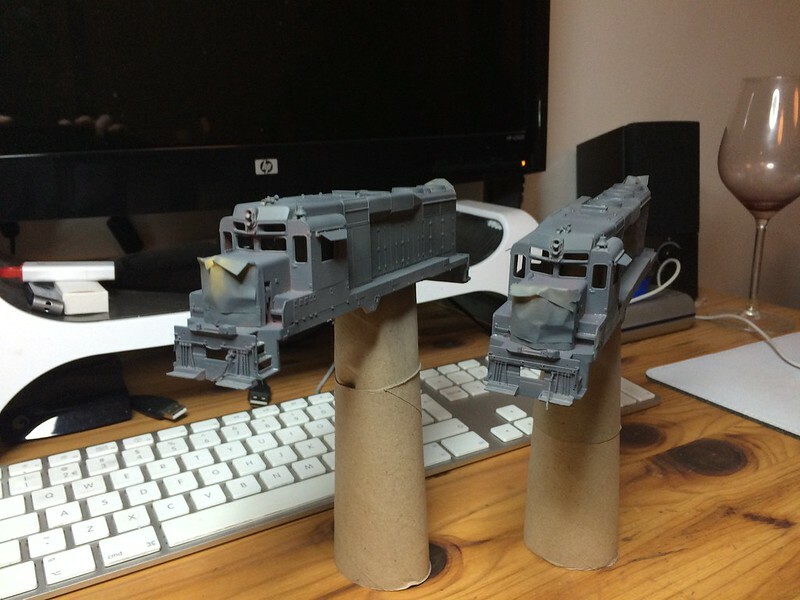 A few weeks later, I was making good progress on decals, and their identities became more apparent. 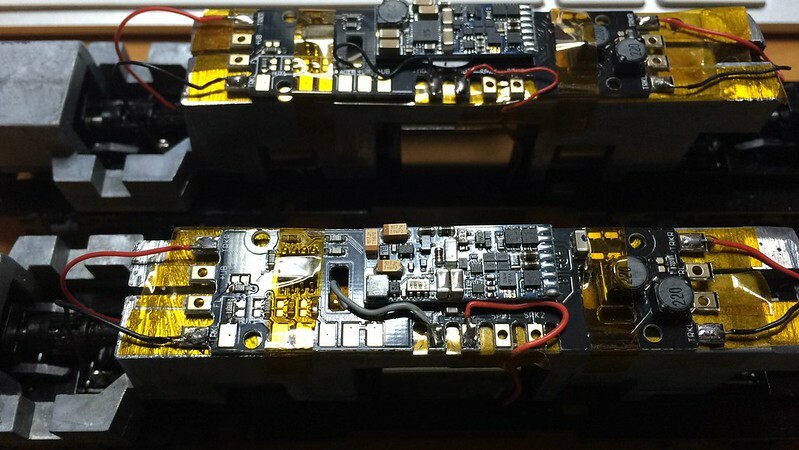 Both of them were equipped with Loksound Select Direct decoders, using Sugarcube speakers (two per loco) and mini LED's with fiber optics for the lights. 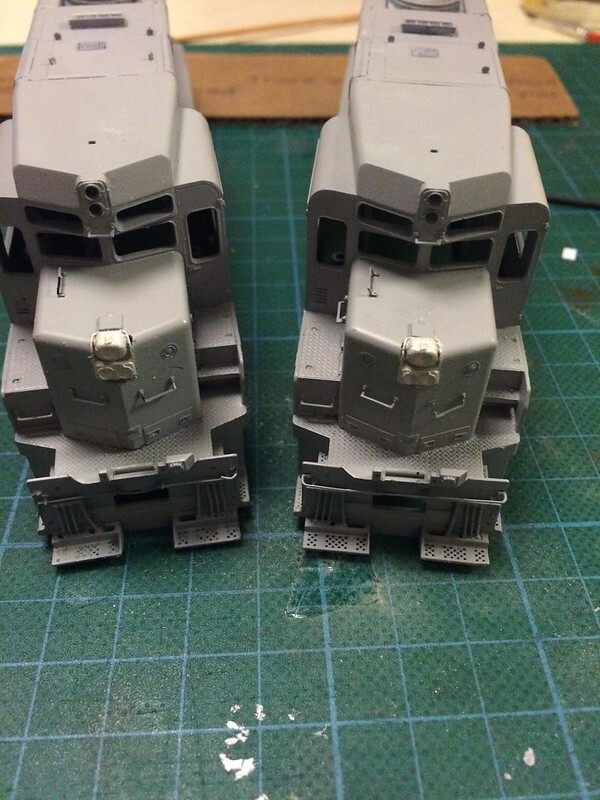 After assembly, I programmed and tested the units, and then applied some moderate weathering to reflect a well used life somewhere in the first half of the '70's. And two more in better light.